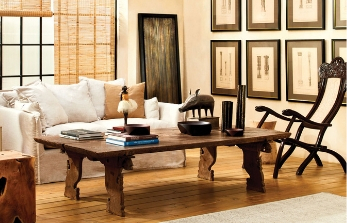 Indians, we are familiar with family heirloom pieces which are passed on from one generation to the other. Be it the polki jadau jewellery or exquisite kaanjivarams that we get to see in our mothers’ or grandmothers’ closet, an heirloom piece encapsulates a number of stories. Saris, however, is special. Every woman has a tale to narrate and feelings woven in the warp and weft of a sari. 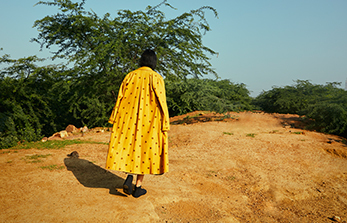 We asked designer Anavila Misra, famous for her beautiful linen saris, to share with us her earliest memories and what intrigues her about the six-yard drape. What intrigues you most about the sari | Its versatility. What current trends do you consider classic enough to invest in | Jamdani, linen, khaki and metallic? 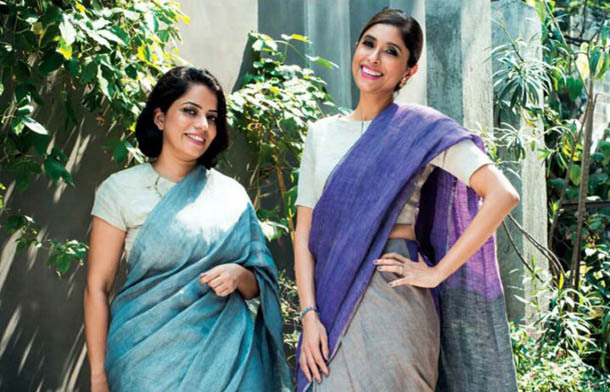 What saris make excellent heirloom pieces | I feel every handwoven sari is special and should be handed over. I have some beautiful cotton Dhaka, my own linen sari collection, khaki with pure zari and of course kaanjivaram. What makes a sari last forever | I think every yarn has its own care routine which needs to be followed. Cotton and linens can be mostly washed by hand at home. Silks should be used carefully and dry cleaned. Always finish the sari before wearing it, be it a fall or border. After every wear, air it once you are back in the house and hang only if the weave is compact. Otherwise, carefully fold and store for future use. Do you remember the first time you wore a sari? Let us know in the comments below.